What is a Winnebago VIEW? View, Winnebago RV: When you want the mobility of a Class C coach with amenities, look no further than the Winnebago® View.® It takes full advantage of the Sprinter Chassis platform to present many of the finest motorhome features in a compact footprint. The 24G has been completely redesigned with a more spacious lounge that gives you the option of a large dinette or comfortable queen size sofa/sleeper. If you want something with a little more sleeping versatility, select the 24V with the Flex Bed system that easily converts between a queen bed or two twin beds. And if size is what matters, the U-shaped dinette in the 24J opens up to a massive 80” sleeping space. When it comes to RV lifestyle, the right look and a comfortable interior make all the difference. See what you've been missing in the Winnebago View. 2019 Winnebago View 24D, Powerful, efficient and tastefully appointed!The motorhome that started the Mercedes-Benz® Sprinter revolution just keeps getting better. From the powerful and economical turbo-diesel engine to the elegantly appointed interior, the Winnebago® View® is the ultimate in efficient, luxurious RV travel for couples and small families. The View’s four slideout-equipped floorplans offer a variety of sleeping and living-space choices. All feature swivel cab seats for added seating flexibility in the lounge, a powered patio awning, and an available cabover bunk for added sleeping capacity. For those seeking the ultimate Sprinter-based Class C motorhome, the View has never looked better. 2019 Winnebago View 24D, Winnebago View 24D Class C Diesel motorhome highlights: Sleeps Five Murphy Bed Rear Bathroom Swivel Cab Seats SuperStructure Construction Cab Over Bunk Hit the road knowing that you have all that you need at your fingertips in this Winnebago View Class C Diesel motorhome. Creating meals and snacks will be easy in the kitchen because of the two-burner range and convection microwave oven, and the Norcold double-door refrigerator/freezer will keep all of your perishable items cold and fresh. You will also find a pantry cupboard near the refrigerator for all of your dry and canned goods, and the overhead cabinets keep your daily dishes and kitchen items easily accessible. You will thoroughly enjoy the convenience of having a rear bathroom in this coach, and the Murphy bed will prove to be a huge asset in providing extra sleeping space at night while still keeping the interior free from clutter during the day. This Winnegabo motorhome is the ultimate in efficient and luxurious RV travel because of the solid foundation it has been built upon. The legendary SuperStructure construction is what provides this coach with a strong and durable base that is able to accommodate all of the functional amenities you are looking for, like the compact sleeping capacity. Whenever you need to pull over and take a break from driving, the swivel cab seats allow you to turn around and join in the fun that is going on in the back of the coach, and your kids will love spending their afternoons in the bunk over the cab because they can turn it into their own little fort while they take a nap or put together a puzzle. 2020 Winnebago View 24D, 2020 Winnebago View 24D All New Redesigned Winnebago View on the Mercedes Benz VS30 Chassis! Arriving Soon! Reserve Yours Today! 2019 Winnebago View 24D, Winnebago View 24D Class C Diesel motorhome highlights: Sleeps Five Murphy Bed Rear Bathroom Swivel Cab Seats SuperStructure Construction Cab Over Bunk Here it is!!! The most popular Winnebago motorhome on the market today!!! 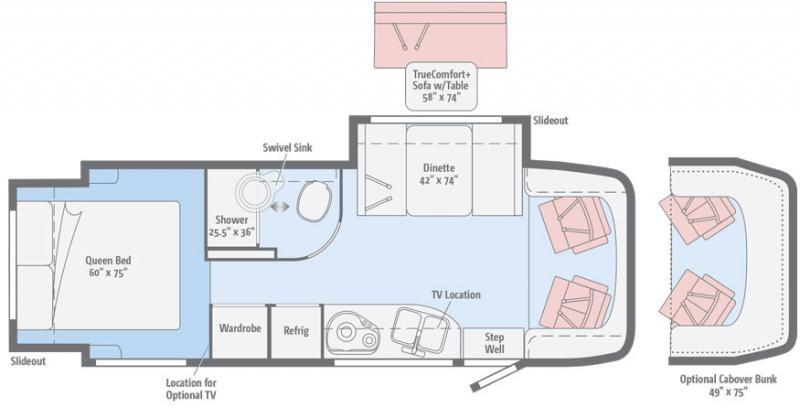 The new View 24D has a terrific floorplan and features galore to make traveling comfortable and fun. You will love the murphy bed/sofa combination and the large full wall slideout. Olathe Ford RV Center is proud to offer the full lineup of Winnebago motorhomes from class B to class C to class A and diesel pushers. Come see the new View at I-35 and exit 207 in Gardner, Kansas. Olathe Ford RV Center is the largest RV dealer in the Kansas City metro area. We are locally family owned and operated and in business for almost 50 years. Hit the road knowing that you have all that you need at your fingertips in this Winnebago View Class C Diesel motorhome. Creating meals and snacks will be easy in the kitchen because of the two-burner range and convection microwave oven, and the Norcold double-door refrigerator/freezer will keep all of your perishable items cold and fresh. You will also find a pantry cupboard near the refrigerator for all of your dry and canned goods, and the overhead cabinets keep your daily dishes and kitchen items easily accessible. You will thoroughly enjoy the convenience of having a rear bathroom in this coach, and the Murphy bed will prove to be a huge asset in providing extra sleeping space at night while still keeping the interior free from clutter during the day. This Winnegabo motorhome is the ultimate in efficient and luxurious RV travel because of the solid foundation it has been built upon. The legendary SuperStructure construction is what provides this coach with a strong and durable base that is able to accommodate all of the functional amenities you are looking for, like the compact sleeping capacity. Whenever you need to pull over and take a break from driving, the swivel cab seats allow you to turn around and join in the fun that is going on in the back of the coach, and your kids will love spending their afternoons in the bunk over the cab because they can turn it into their own little fort while they take a nap or put together a puzzle. 2019 Winnebago VIEW 24V, NEW 2019 VIEW.  2019 Winnebago NAVION, 2019 Winnebago NAVION - Please email or call for the full list of the features, availability or anything else we can send to help you. We have some fantastic financing plans and take trades also! It is our #1 goal that your experience with our company is an enjoyable one. Our staff of industry professionals is ready to assist in your recreational vehicle sales and service needs.